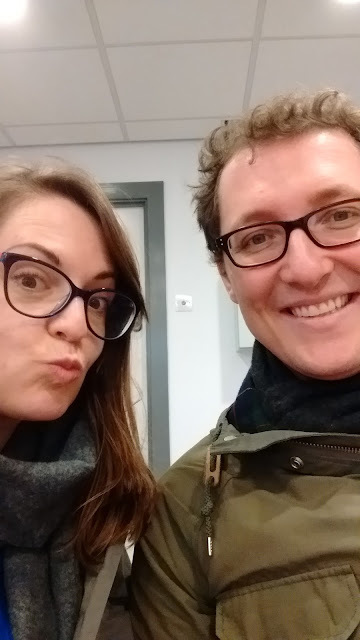 Following our missed miscarriage at 12 and a half weeks .We thought that there would be a bit of a waiting time for us to get started on our IVF treatment. 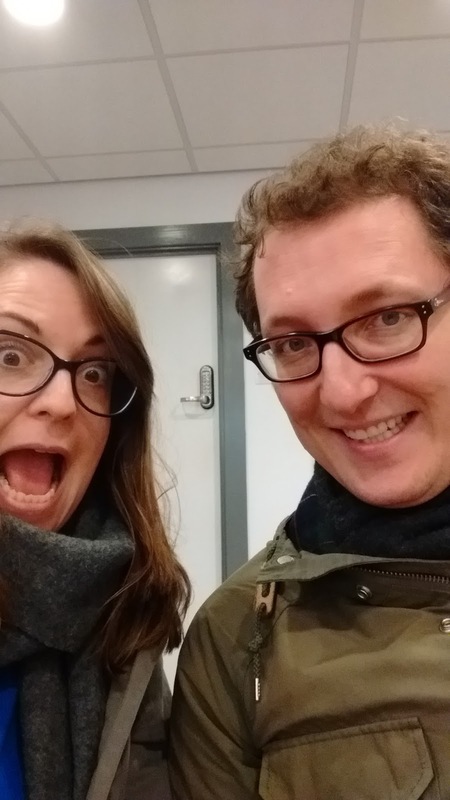 We knew we had been at the top of the waiting list as our scheduled appointment to start had actually come round just before our first pregnancy scan. But seeing as we had already served our waiting list time luckily that meant we didn’t have to wait at all.Looking back I’m not sure whether this was a good or bad thing. There wasn’t long to dwell on losing the baby, but I’m still not sure if my body was physically ready. However we had come this far and we didn’t take too much time to hum and haw and just decided to go for it. Funnily enough our IVF treatment then started on a morning that we were already signed up to be attending an IVF conference held in Glasgow. All through the IUI treatments we just thought it would work and that we wouldn’t find ourselves in this position, so we naively just hadn’t given the process much thought. It was a surreal morning listening to specialist after specialist, and we felt overwhelmed with some of the options that might lie ahead for us, but I am so glad we had gone just to get a proper overview before it kicked off. I was out of the conference and back in the hospital waiting room within an hour just waiting to pick up my injections to start that day. It had only been 5 weeks since my operation post baby and I didn’t click that it had been such a small amount of time. It was a proper whirl-wind but we were so excited and hopeful to try and get back on track that I never really took it all in. It is funny in the infertility cycle you can get a bit lost in tunnel vision of the situation and sometimes you don’t take a moment to work out how you might feel or what might be best for you. As I have said before getting the drug doses right for IUI treatment is a bit of a minefield. You are trying to encourage the body to create follicles in order for an egg to be released by taking a special injection. But if you have more than a few follicles of a certain size the IUI treatment is cancelled as they can’t risk multiple eggs being released and creating multiple pregnancies which are technically riskier. With IVF on the other hand it was a new challenge. This time they are looking for you to make lots of follicles as you want to produce as many eggs for harvesting (that phrase… shudder) as you can as these are then used to fertilise/ and or for freezing for later use. However you need to balance it right as you don’t want the body to over produce follicles which is a risk that can make people really unwell (OHSS). As I had a high ovarian reserve this was something I was at risk off, so it is a real balancing act to contend with. The ideal situation is to respond well and have a nice group of healthy eggs removed and a good number making it past day 5 in the lab ( this is when they become blastocysts) and then any not placed back in the womb are frozen. For one cycle of IVF you have that initial collection and then if any are frozen and the first transfer fails, you can have those frozen embryos placed back later and that all just counts as one full IVF cycle. So essentially you can have a few goes in just one cycle if your collection goes well. I responded to the meds as expected, especially as for this round I was given 3 times the dose I had been having previously so before I knew it, my big bloated and swollen body was booked in to have the eggs collected. It really was quite surreal to be at this point so quickly but we felt positive and had no reason not to. I was back on a theatre table waiting for the anaesthetic to kick in but this time it was hopefully for a happier reason than a few weeks back. It didn’t go quite as expected however and it was crushing to come round from the procedure and have the lovely Dr tell us she had tried really hard but there were only two eggs in there. Essentially science only takes us so far and where there should be eggs, there wasn’t. I felt super disappointed and did blame myself for not taking a longer break from all the treatment, although they assured me it wouldn’t have changed anything. As everyone in fertility will always tell you, “it only takes one” but you don’t feel that way in those moments. Not at all. We only had 2 little eggs and my knowledge of drop-out rates etc meant I knew that was terrible news. We had an agonising 24 hour wait for the lab to call the next day and tell us if either had fertilized or had then survived overnight in one piece. I felt sick and deflated and suddenly the grief of everything was an incredibly intense wave that I just wasn’t expecting. I didn’t want to give up on the hope that the process could still work but it was so hard to feel anything positive towards what had happened. I was signed off work for the day to recover, and just sat waiting for my phone to ring, I swear I burned a hole in that thing just willing it to make a noise. We got the call and luckily one of my eggs had been of use and had successfully fertilised overnight. We were not in the clear though as you now have to will them to survive to day three when it would be placed back inside me. 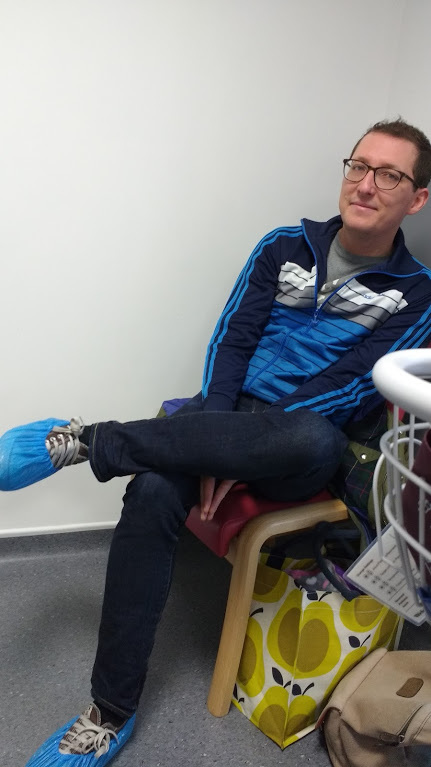 Ideally you want it placed back in the womb on day 5 which is when it has formed into a blastocyst, but when there is only 1 or 2 they don’t take that risk and place them back in early .I was booked in for the transfer and just told we had to wait it out. It was so hard, I was still trying to not give up on our one growing embryo (or embaby as they call it in the trying to conceive world!) but it was hard not to. Once again, we were back in the hospital, all gowned up with my leg in stirrups with what feels like a hundred eyes in the room with you, taking in all your spread eagled glory. It was strange just how accustomed to it I had become to be honest! We got to see our little embryo and all its growing cells on a screen before it was popped back in, you literally see it shoot across the screen as it is delivered into the womb. The technology is fascinating! I felt like cheering as we watched it make its quick journey to where you hope it will get settled in. But once again this is where science only takes you so far. After an embryo is transferred it is up to fate whether or not it chooses to implant, or then continues to stick once it has implanted. This was by far the worst two week wait of them all, we had been here SO many times now, I was truly fed up. As always I found I spent the first 4 days on a little high as the possibility of it working is there, but something about the passing of time would always then have me doubting and questioning if we were destined for a different life (something we have explored various times). Sadly It was not to be for us this time, and the arrival of bleeding summoned the end of the hope that the little embryo had chosen to stay with us. And we both hurt so much; you couldn’t help it as we were rooting for that one surviving little ball of cells so badly. The Doctors explained that they were also disappointed with how it had gone and admitted they were probably a bit shy with the drugs on this occasion and clearly they needed upped next time. But for now it was difficult to imagine undertaking our last NHS chance to make it work. That pressure of knowing you have a set number of attempts (no matter how lucky I feel to have those attempts) is really crushing. And we knew we needed to decide if we wanted a break to try and recover or to just push on to what felt like the end to a pretty horrendous chapter. There is so much to consider on the infertility journey and we just didn’t think we would end up where we had done. Infertility is really hard and unless you have been through it no-one can actually know what it really feels like. I am so sorry that your iui &ivf cycles haven't worked for you so far but you are very lucky if it works on the first attempt. I am finally pregnant after 13 years of trying & 6 fresh ivf cycles, it has been both emotionally and financially draining.